Through excellence in education, we inspire students to discover and pursue their passions, embrace intellectual curiosity and creativity, and lead with confidence. Rutgers Prep provides a positive value of self where our students are training to be the leaders of tomorrow. Within a climate of trust, safety, and support, our students embrace intellectual curiosity and creativity in a coeducational college prep school serving over 600 students from age three to grade twelve. Our families speak more than 50 languages and come from over 90 zip codes and twelve countries, and our alumni now live and work all over the world. We come from everywhere, and we can go anywhere. How is Rutgers Prep full of Inspiring Outcomes? We are a community that reflects the true and genuine diversity of our modern world. Our students are elite, but our community is inclusive. Rutgers Prep is small enough so that every student is recognized and valued, but large enough to offer an extraordinary range of academic challenges. NJAIS (New Jersey Association of Independent Schools) describes the Rutgers Prep experience as "More than just a friendly independent school community, Rutgers Preparatory School students are fundamentally kind to each other and, moreover, perceive each other as sources of instruction and inspiration regardless of their backgrounds and perspectives. 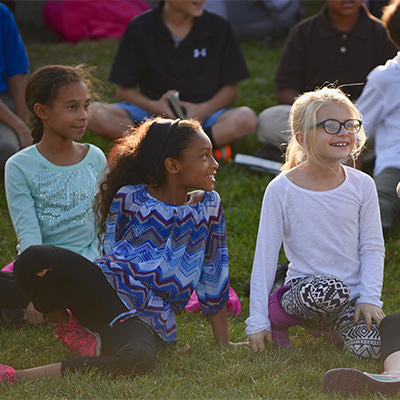 Aspiring to educate the 'whole person,' Rutgers Preparatory School intentionally commits itself to the intellectual growth of its students and to their creative, physical, social, and moral growth. This commitment manifests itself in many specific and laudable offerings within its curricular and also co-curricular programs, and in the passion and consistency with which its faculty and staff carry out their ideals."